Saturday night the Rochester Knighthawks (2-6) fell to the New England Blackwolves (4-3) 16-13 in front of 5,766 fans at Mohegan Sun Arena. After a tightly contested first quarter the Blackwolves came to life. New England would go on an eight-goal run that started at 2:18 of the second quarter and culminated with the final goal of the at 4:03 of the third quarter. The Black Wolves’ defense kept Rochester off the board for 21:37 of game time. Callum Crawford came into the game as one of the hottest players in the league and kept his hot streak going with a huge 10-point night (5G/5A), including a fourth-straight hat trick and the fifth in New England’s seven games played this season. In the third it became time for Rochester to go on a run of their own. Rochester outscored the Black Wolves 6-1 in the next 14:41 of game time to get within 12-10. Cody Jamieson and Joe Resetarits would each score twice during that time frame. Both teams would alternate goals before New England would score twice in 26 seconds to make it 15-11 with just under eight minutes to go in regulation. Rochester would continue to apply the pressure on goaltender Alex Buque and the New England defense but both would hold firm even after Resetarits’ goal with 2:16 to go drew the Knighthawks within two, but Crawford capped off a milestone night by scoring an empty net goal to secure the victory. Crawford’s second goal of the night was his 900thpoint of his National Lacrosse League career. Also joining Crawford with a big game was Stephan LeBlanc who scored the 700thpoint of his career in the second quarter. Crawford (5G/5A) and Tyler Digby (3G/2A) led the Blackwolves attack while Buque stopped 37of 50 shots faced for the win. Resetarits (4G/3A), Cody Jamieson (3G/3A) and Kyle Jackson (2G/6A) led the way for the Knighthawks. Angus Goodleaf stopped 35 of 49 shots faced. 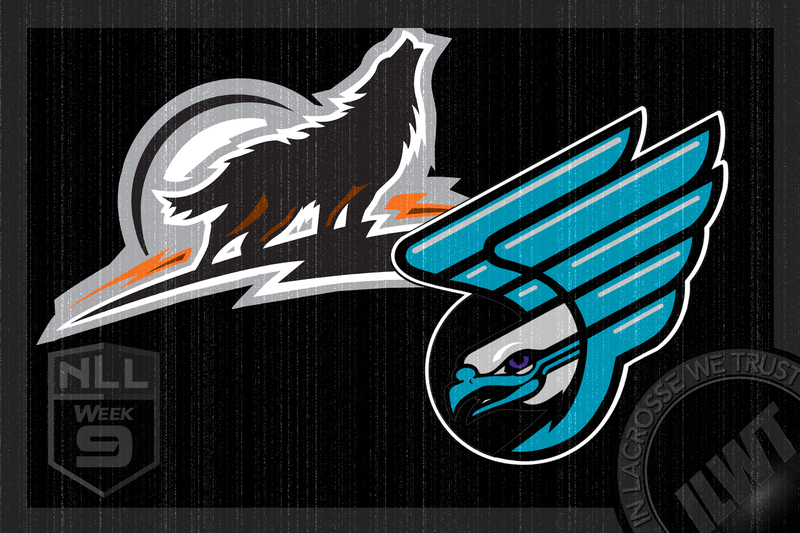 Rochester has a bye week, but the Black Wolves will return to where they started with a home and home with the new Philadelphia Wings on Saturday and Sunday.